The case, in 18kt rose gold, measures 43mm x 10.2mm. It has double sapphire crystals and it is water resistant to 30 meters. 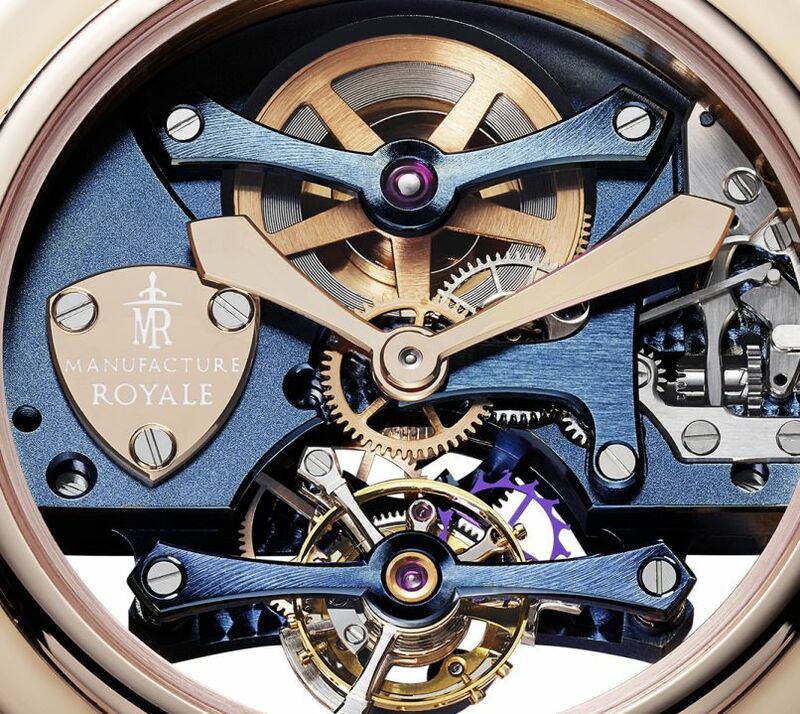 Movement is the Swiss manual-wind Manufacture Royale in-house caliber MR02 with 17 jewels, 21,600 vph and a power reserve of 108 hours. Escapement wheel and silicon anchor. Components done in an azure blue CVD finish. 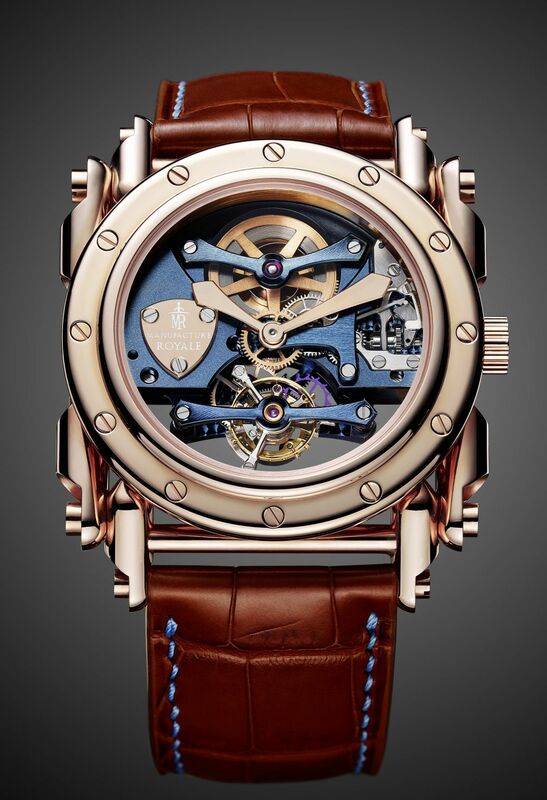 Functions are: hours, minutes, and tourbillon. It comes on a hand-sewn alligator leather strap with an 18kt rose gold pin buckle.